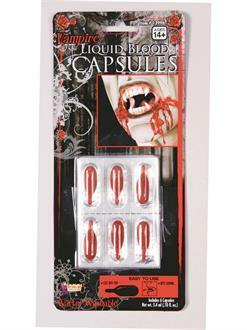 Perfect for Halloween costumes, the Blood Capsules-Liquid Capsules will have your costume looking creepy. 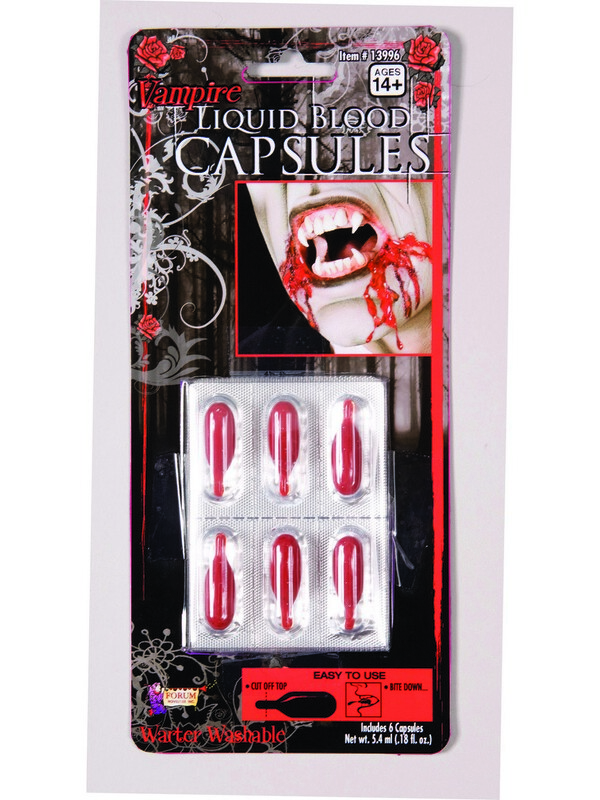 The capsules are filled with fake blood that looks and flows like the real thing. It is easy to carry around in your pocket, if you need to add some touch ups throughout the night. Use this accessory on clothing, as face make up, or on home decorations.